The Metropolitan Opera’s latest Live in HD performance is a smoldering production of Gounod’s Shakespearean tragedy ‘Roméo et Juliette’. The latest Live HD opera from The Met is a sizzling performance of Finnish composer Kaija Saariaho’s 2000 opera ‘L’Amour de Loin’. International singing sensation Heather Schmid talks to TheaterByte about her music, travels, and life philosophy. The Metropolitan Opera scores big with their new production of Rossini’s Guillaume Tell. 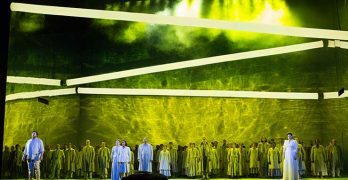 The Met’s new 2016 production of Wagner’s ‘Tristan und Isolde’ was a grand musical statement that was hindered by its unfortunate high-tech staging. 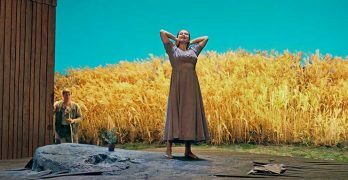 The Met revives its 2003 production of Leoš Janáček’s Jenůfa by director Olivier Tambosi with bare staging intact.